Patra's Other Place: We have too much electricity in Victoria! On my frequent journeys around Blog Land I find some fascinating blogs, not alway craft orientated. I particularly enjoy reading blogs by people who have moved from overseas to live in Australia. One such blog is called "Housewife Down Under" and is by an American born lady. She and her husband have been doing a lot of travelling around our beautiful country (she loves it too) and they recently travelled through parts of the Great Dividing Range, including Bogong. I was so fascinated to read what she found out about our state electricity supply that I asked if I could reproduce it here. 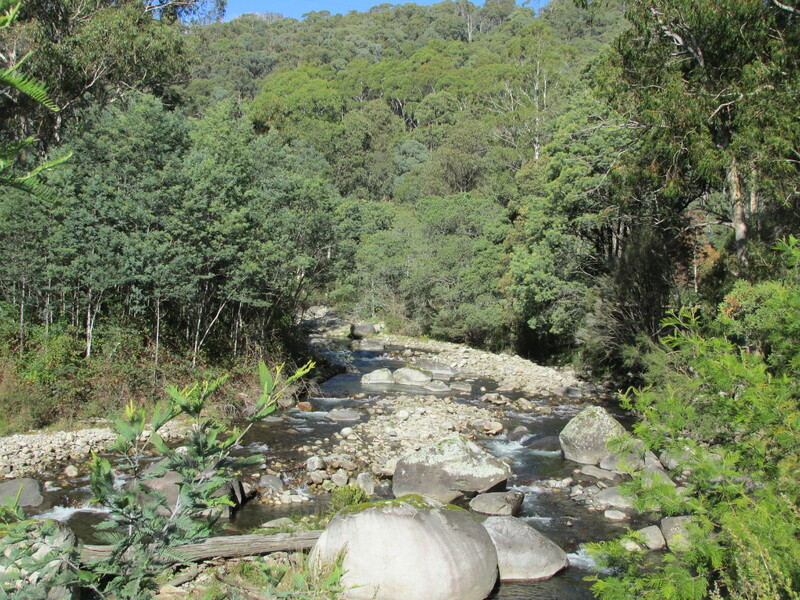 The power plant is owned by AGL and is part of the Kiewa Hydroelectric Scheme. The water in the photos above is part of the first reservoir in the system of damns. The Bogong plant is about halfway through it and has two huge turbines that are powered by what looks like a rather small creek outside. What I thought was neat is that they have a system whereby they pump water back up to the top and reuse it again. This creek produces massive amounts of electricity. The lady working there told us how they worked and we had a long chat with her about renewable energy sources and such. She told us the plant actually didn’t run on Sundays because Victoria generates more electricity than it needs. With the shrinking of the manufacturing industry, there is far less need for electricity. And as for solar panels, it’s great if you want to use them to generate your own electricity, but they don’t really want you feeding it back into the grid because they already have too much. Well! What an eye opener! Ken and I have been talking for years about getting solar panels to save on electricity not just for us, but for the health of our environment as well. Not after reading this!! Choice magazine printed letters recently from disgruntled people who tried to organise feeding their excess solar power back into the grid but came up against all kinds of red tape. Now I know why.